In this post, we’re going to meet ALEC EDWARDS, former assistant curator of Partridge Hall. Meet Alec Edwards. Born, lived and died in Plimpton Market, a town set in the rolling South Downs. 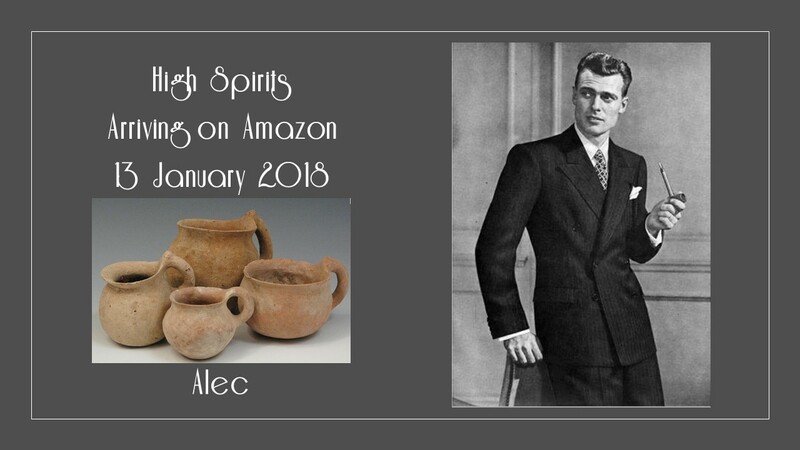 Alec is fastidious to the extreme when it comes to his museum – his pride and joy. He developed his enthusiasm for the past as a boy and was fortunate enough to be taken on by the kindly curator, as a school-boy assistant. From there it was only a matter of time before he was employed full-time and spending all his waking hours in his beloved stores. Alec’s devotion to his museum is such that he never made time for love. That all changes the day he happened to look out of his office window, tucked up in the attics of Partridge Hall, and across to the nearest building. Here, he sees the vision of loveliness that is Jean Francis. From then on, they see each other every day – she would smile and he would nod, until fate finally takes a hand and they cross paths outside the local newsagents. Of course, falling in love doesn’t alter Alec’s fundamental nature. He’s still fussy and prone to being a bit short with Jean. They bicker a lot but ultimately, he loves her with all his heart. It’s just a shame that his parents and hers were so dead set against them marrying. He’s dead and having to live in his cherished museum with all the new-fangled ideas that have come along since his departure from the mortal world. 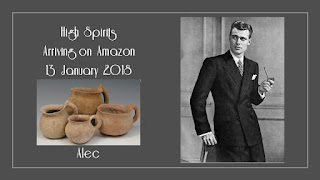 Alec is stuck in 1944 and aged 30, from a time when objects were recorded in dusty old accession registers and noted down on cards. It was an age when business was conducted over a hearty evening meal in the local coaching house and gifts of money were received from local benefactors who required deferential treatment and a bit of toadying. Now, it’s all stakeholders and funding managers and people passing through who want to jazz it all up a bit. To top it all off, they keep re-arranging his stores and dammit, he’s just going to have to put it all back again! What are his personal relationships like and how do they shape his character? Alec had a very strained relationship with his own parents. We don’t learn much about his father but it seems his mother was a huge snob and this had filtered down to his sister, Rose, mother of Pop. They seemed to have some idea that having a curator in the family gave them social standing – they had servants for heaven’s sake! Alec got out of it all by burying himself in his work, not that it was a hardship –he was never happier than when he was in his museum. He even slept there, in a little camp bed in his office. Jean opens him up, just a bit. She likes dancing and movies and drags him along to both. He feigns reluctance but he’s besotted with her. She has the biggest influence on him and, if they’d lived, she may well have reformed and softened his character. As it is, Alec is stuck with the mannerisms and idioms from life which makes him sound somewhat stuffy.